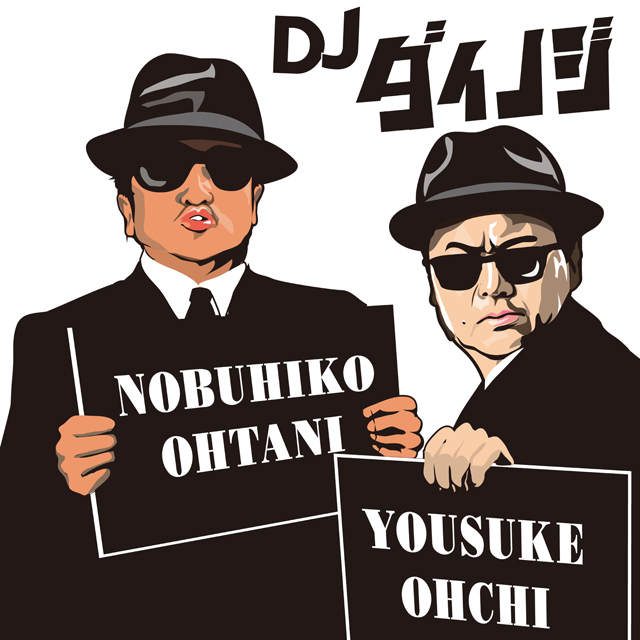 Ohtani from Dainoji hadn’t got a gig until rockin’on Hyogo Shinji recommended him to start Djing in 2005. In time, Ohchi started performing in front of the DJ booth and it became Dainoji DJ style. In December 2005, they launched DJ Event Giant Night, and joined the stage of COUNTDOWN JAPAN FESTIVAL 2005, making their first music festival appearance. In 2006, Ohchi won Air Guitar national and international competition in 2006 to everyone’s surprise. It started from the DJ performance. In 2006, they appeared on NHK Kohaku Utagassen and Ohchi won the Air Guitar competition again in 2007, appearing at SUMMER SONIC as DJ Dainoji. They accomplished the miracle starting from performing for three people to 25,000 people. In 2009 they marked the most draw for DH Booth at ROCK IN JAPAN Festival, for which they were advertised as Professional DJ who can also do stand-up comedy. They are vagabonds of DJ world that induces laughs, cries with choreographer, drawing more follower to their comic DJ style.